Finding healthier desserts means that I can feel a bit better about offering sweets to my family. I don’t make a lot of desserts but I do enjoy them sometimes. One of the kids favorite desserts is Magic Cookie Bars. The traditional recipe is very high in fat and not very healthy. I found a recipe in The Passionate Vegetable by Suzanne Landry, The Fresh Food Chef, that is very similar to the traditional magic cookie bars. By making just a few changes to the recipe, she has turned this into something I can serve as one of my healthier desserts. This recipe has eliminated the sweetened condensed milk and replaced the graham cracker crust with a crust made from whole wheat flour and oats that is sweetened with honey. Instead of traditional coconut, unsweetened coconut has been used. When I was growing up, my Mom always made Magic Cookie Bars. If there was a party or a holiday, you could guarantee that there would be a HUGE platter of Magic Cookie Bars to snack on. As much as I love them, they are definitely NOT a healthy dessert. 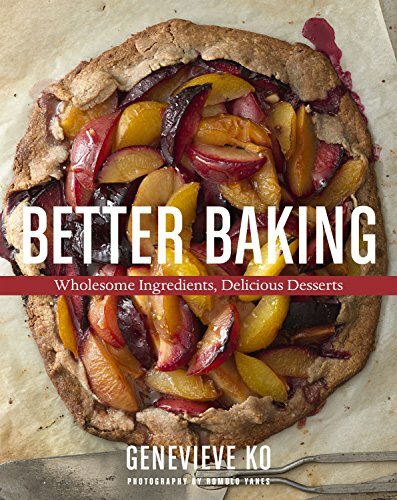 Healthier desserts tend to be lower in fat and sugar than their traditional counterpart. If you are baking a cake or making cookies, you can often substitute some or all of the oil with apple juice or pureed pumpkin. 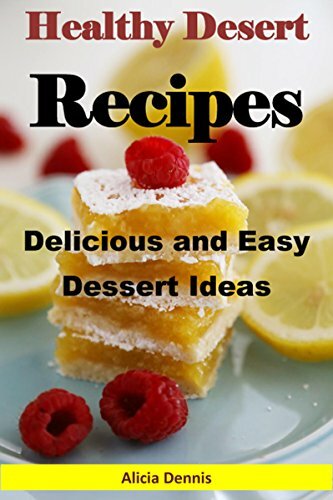 If you are looking for low sugar desserts, you can substitute the sugar in most recipes with a stevia baking blend for a lower glycemic index. Also, if you want to avoid greasing your pan to prevent your baked goods from sticking, you can use parchment paper instead. This will also help to cut down on the fat content of your recipes. I personally find that it is much easier to remove desserts from a pan if I use parchment paper so I rarely use anything else. You can also bake in a silicone pan to prevent sticking. This will work for bread, brownies, cupcakes, and muffins. There are a lot of healthy fruit dessert recipes out there, but sometimes you just want something different. I love the taste of chocolate but too often the chocolate desserts I find are too high in sugar, fat, and calories for me to justify making them regularly. And, finding low calorie dessert recipes that actually taste good is a challenge. You may have also seen these bars called Hello Dolly Bars if they have added butterscotch chips. You can change the taste of this recipe by adding a few butterscotch chips instead of the chocolate. Just be aware that butterscotch chips will have a higher sugar content than dark chocolate chips. You can also substitute pecans or almonds for the walnuts if you prefer. Preheat oven to 350F. Grease an 8x8" square baking pan with oil or butter. Mix rolled oats, oat flour, and wheat flour together. Add butter, breaking it up with a fork so mixture resembles coarse meal. Pour in maple syrup or honey and mix thoroughly. Press mixture evenly over bottom of prepared baking pan. Bake for 10 minutes. Remove and let cool for ten minutes. Meanwhile, mix topping ingredients together. Spread topping evenly over oatmeal crust. Bake for 20 minutes. Remove from oven and let stand for 10 minutes or until cooled before cutting into bars. I used honey in my recipe. What’s your favorite way to make this healthier dessert? Oat flour is sooo good! This recipe sounds delicious, and I love that you didn't use refined-sugar. I really love that it uses honey or maple syrup! Now I would be all over these but the hubby does not care for coconut - crazy I know! I'm playing tomorrow - I have bananas that just need a bit more ripening. All the more for you! What are you going to do with the bananas? I'm still working it out but it will involve chocolate! I would be interested to try this. Looks decadent, and I love the ingredient choices you made! Thanks, Crissy. I tried to keep it yummy while making healthier choices. Oh YUM! I used to love those magic bars as a kid, too. What a delicious makeover recipe! Thanks, Laura. I thought they came out really well! Thanks, Gena! I love that it's a healthier dessert! I'm not a fan of coconut but I bet I could tweak the recipe a bit. It looks too good not to try. When and where is the weekly ingredient post for the link up/challenge? I'd love to join! I would totally make this! Dark chocolate and coconut are my favorite ingredients in a dessert. Plus, it looks easy enough for me to make, which is always a plus! Thanks for sharing this recipe Ellen! Glad to share! It really is delicious! I am a huge dessert addict so finding healthier options is always nice! These look delicious! I don't eat tons of desserts but when I do I try to make them healthy at least some of the time. Sounds yummy! I love that it is a lighter version of a classic dessert. I won't feel to guilty about eating it! That means I get two right? Ummmm... Chocolate, coconut and oats. Three of my favorite ingredients. I'm sure it'll be a hit with my family too. I must pin! Thanks for sharing. Glad to share. Let me know if you try it! Those look delicious! I love coconut and chocolate. Something about them together makes it taste gourmet or something :) I would love for you to link this up at Mom's Library! Thanks! Heading over there now. LOL I know a lot of people do! I adore coconut. This version looks great! Thanks, Bonnie! It really was. Thanks, Bobbie! Let me know if you do! 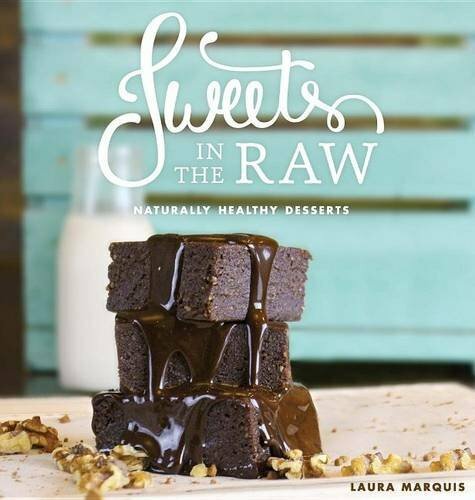 Love desserts, especially those bad ones, so nice to see a healthier idea to satisfy the chocolate and sweet tooth. It's so nice to find something that tastes good & is healthy! Those look so good, and you wouldn't know they are a "healthier" version. I agree, I would never have guessed that this is the "healthy" version, great recipe!!! Thank you for posting this. These look so delicious! I wish I had some right now! I will be making these. Thank you for sharing. I can remember my Grandmother making Magic Cookie Bars and loving them. In those days I was always outside and always in motion. No longer true except walking the dog, this recipe would be much better that the older one. Darn. It is much healthier than the traditional version!